Chateau Pichon Baron is a simply majestic property that produces some absolutely stunning wines that are not to be missed. 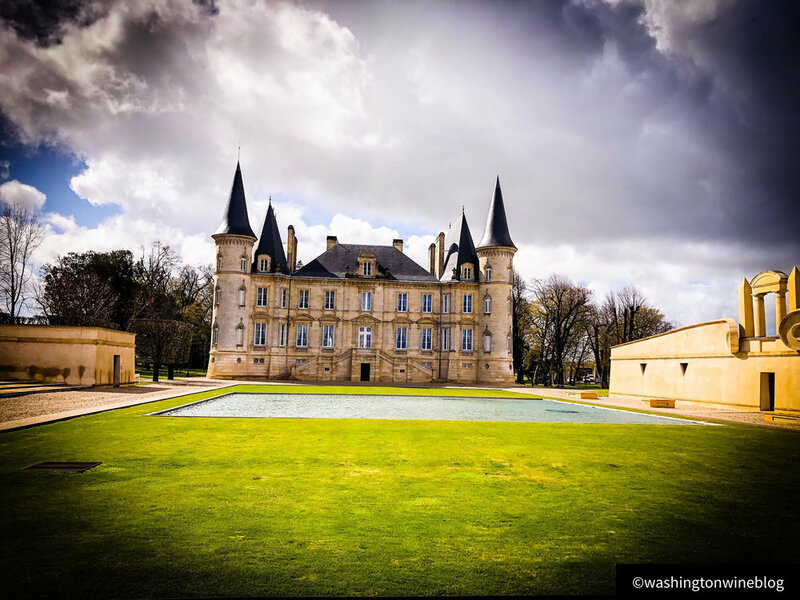 We shift our focus to some of the storied houses of Bordeaux this week on Washington Wine Blog. A few weeks back I visited Chateau Pichon Baron, one of the famed properties on the left bank of Bordeaux. Château Pichon Longueville Baron was classified as one of fifteen Deuxièmes Crus (Second Growths) in the original 1855 Bordeaux wine classification. Pichon Baron was once part of a larger estate, owned by Pierre de Rauzan and alongside Chateau Pichon Longueville Comtesse de Lalande. The estate was then divided in 1850 into the two current Pichon estates. While quality remained not as strong as its neighbor, a big change came in 1987 when the estate was bought by a French insurance company AXA which transformed the quality of the wines. Jean-Michel Causes of Chateau Lynch-Bages became the winery administrator which greatly improved quality of this historic estate. Pichon Baron is currently managed by Englishman Christian Seely. The winery has 73 hectares which are largely planted to Cabernet Sauvignon (60%) and Merlot (40%) with smaller portions Cabernet Franc and Petit Verdot with average vine age at 30 years. The vineyard is situated at the southern end of the commune of Pauillac near border with the Saint-Julien-Beychevelle appellation. Current winemaker, Alexandra Lebossé, joined Château Pichon Baron in 1999. Assistant technical director and then cellar master since 2007, she became winemaker in 2017. I have been enchanted by these wines, particularly those from the mid-90s and on. I fondly remember a bottle of 2001 Chateau Pichon Baron that I enjoyed in Los Angeles a few years back. The wine was truly one of the great wines from that challenging vintage. While visiting Pichon Baron I had the great opportunity to try several wines and I was blown away with the new release of Chateau Pichon Baron, their 2016 (WWB, 95) which is backwards and austere now but shows loads of potential with an incredible core and earthy tones. 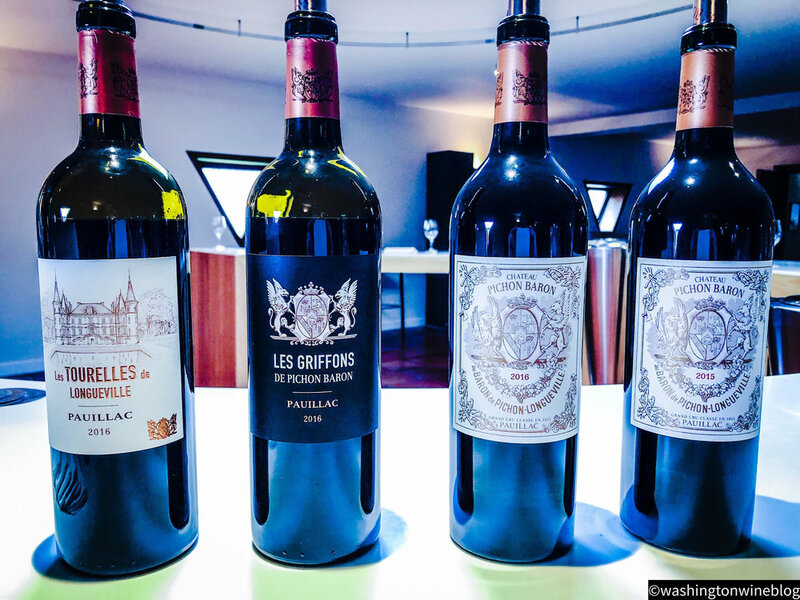 These wines age brilliantly and I had the chance to revisit the 2010 Chateau Pichon Baron (WWB, 96) which is a massive wine from this incredible vintage in Bordeaux. The wine was starting to hit its stride with dense dark fruits and incredible complexity. Learn more about this famed chateau at https://www.pichonbaron.com Here are my reviews of the recently Chateau Pichon Baron wines.